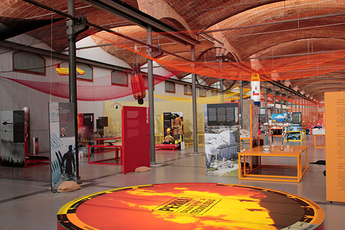 Until 30 June 2019 the National Museum of Science and Technology of Catalonia (mNACTEC) is hosting “DANGER! Saved by technology”, a major 1,000 m² exhibition showing how technology contributes to the prevention of risks, accidents and disasters. The aim of this exhibition is to raise awareness of the mechanisms, attitudes and technological advances in risk prevention through the use of interactive installations, models, historical objects and audiovidisual material. This exhibition is divided into sectors covering Natural disasters, Fire, The Human factor, Industrial disasters and Transport. In each of these, visitors will learn about the risks of disaster in this area, examples of different specific incidents worldwide which have had media impact and the technology which can be used to prevent or minimize the risks of these disasters. Press release of the exhibition "DANGER! Saved by technology"